Conventionally thin film modules are made by various types of vacuum deposition of the thin film layers over the whole module area. These coating steps alternate with laser or mechanical scribing of the layers. These divide the module into strip-like cells connected in series. The drawback with this sequential approach is that the coating steps happen in vacuum, while the scribes are done in air; meaning the panel has to go in and out of vacuum systems several times during manufacture. To avoid this issue, M-Solv has developed a process called One Step Interconnect (OSI) where the full thin film stack can be deposited, uninterrupted and followed by a single pass interconnection process, this all happens in a single pass of the process heads, which is fast and self-aligning. For the overall production line there are several advantages, three laser scribing machines can be replaced with one OSI machine, several of the module’s air-to-vacuum transitions can be removed and the module never has to be exposed to air until the stack is complete. The vacuum-to-air transit can only take place near room temperature but most of the coating steps take place at high temperatures so heating and cooling stages are needed, but using OSI means that the temperature profile along the production line can be much flatter, saving energy and making the thermal process control easier. Also OSI removes the need for heating, cooling and load-lock equipment from the line, meaning the overall panel manufacturing time is reduced because the line is shorter. 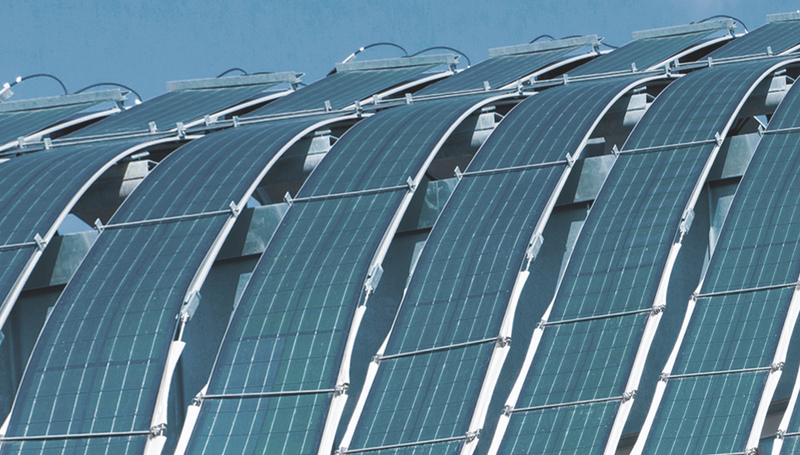 The OSI process uses combined additive and subtractive micro-manufacturing to help thin-film PV manufacturers improve panel efficiency and drive down costs. 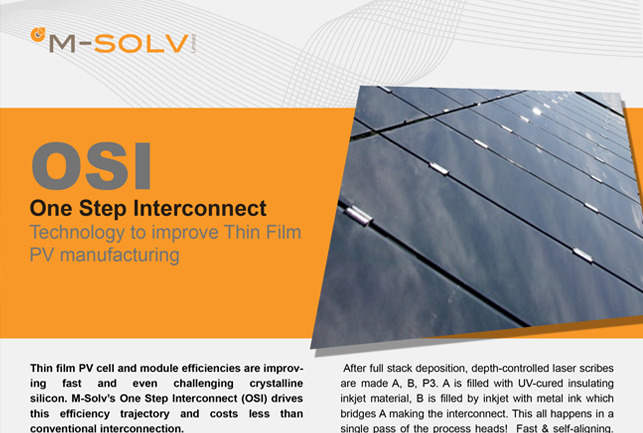 Exploring conventional process techniques for thin film PV and looking at the advantages and disadvantages of M-Solv’s OSI process.Click here to view.